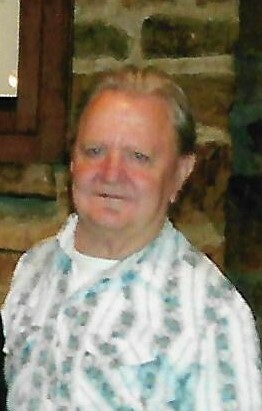 Williamsport, MD – Merle Eugene “Butch” Jackson, 75, of Williamsport, MD passed away on Friday, March 15, 2019 at Doey’s House Hagerstown, MD. He was born on December 1, 1943 in Pinesburg, MD to the late Albert Theodore and Edna Florence Hose Jackson. Butch was a graduate of Williamsport High School Williamsport, MD. He was employed by Martin Marietta Aggregates for over 40 years until retiring in 2006, he worked at the Boonsboro and Pinesburg locations. Butch was a lifetime member of Conococheague Tribe #84 IORM of Williamsport, MD. He loved his cats and was an avid Yankees fan. He is survived by his son Merle E. Jackson, Jr. of Williamsport, MD; sister Shirley McCauley of Pinesburg, MD and numerous nieces and nephews. He was predeceased by five sisters Mary McCauley, Carrie Linderman, Amanda Jackson, Dortha Smallwood, and Betty Ebersole; three brothers Walter Jackson, Lewis Jackson, and Richard Jackson. The family will receive friends at the Osborne Funeral Home 425 S. Conococheague St. Williamsport, MD on Wednesday, March 20, 2019 from 6:00-8:00 pm. The funeral home will be open after 9:00 am on Wednesday for the convenience of family and friends. Funeral services will be held at the Osborne Funeral Home 425 S. Conococheague St. Williamsport, MD on Thursday, March 21, 2019 at 1:00 pm with Mr. Kevin Smoot officiating. Interment will be in Cedar Lawn Memorial Park Hagerstown, MD.